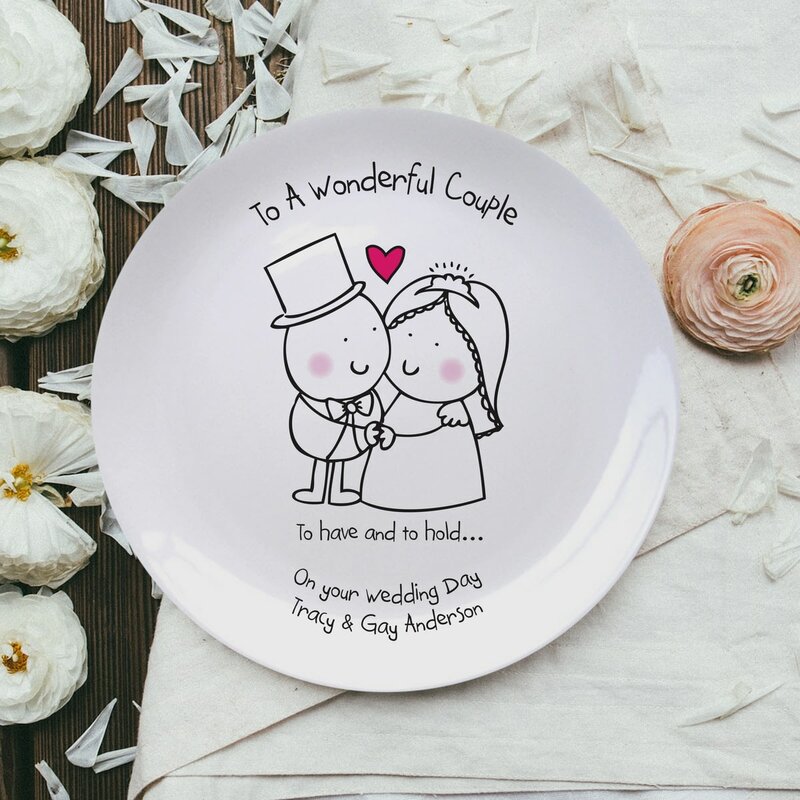 With your message alongside the design the bride and groom will have a cute, bespoke keepsake of their special day. 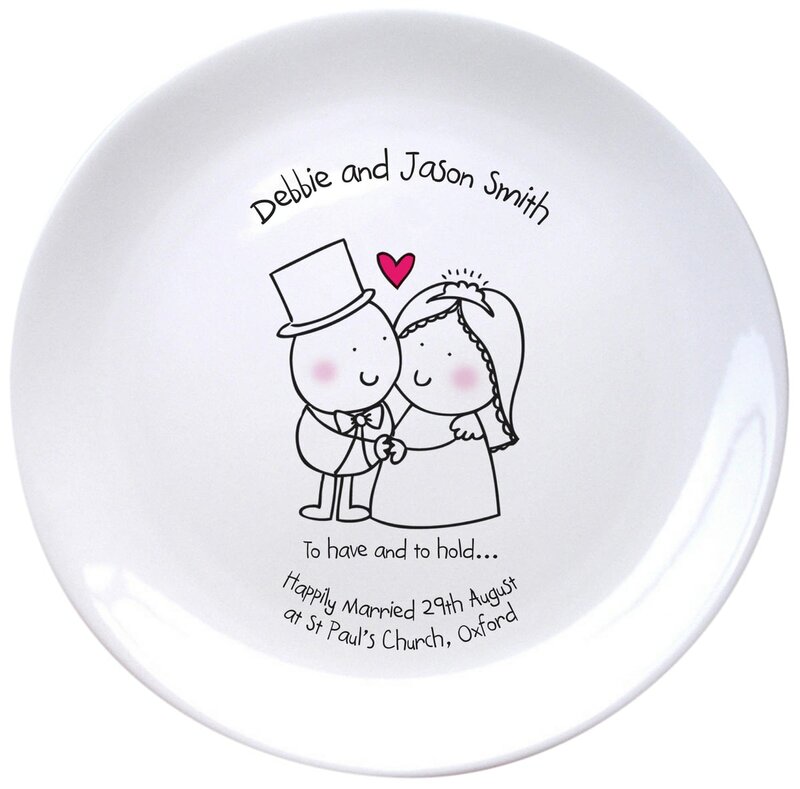 Chilli and Bubbles make up a cute little bride and groom in the centre of the plate, making a keepsake that can take pride of place on the mantle of the happy couple's home together. Kiln fired, the bespoke plate is dishwasher safe.